IN STOCKED TEAS ARE ALL ON SALE. Please email me for updated list. • Bombilla Filter out Yerba Mate through these bombillas. • Samurai Cut Weight Loss Tea Samurai Cut is our best selling tea because it works! The results are amazing!!! This weight loss tea provides you with the right blend of ingredients that naturally boost your metabolism to help you burn calories, enhance your energy, and drop the weight. Certified organic. 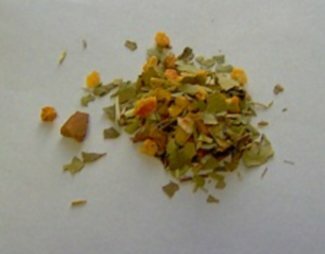 Combines Yerba Mate Tea, Green Tea, Cinnamon and Orange peel. What a great way to incorporate this into your daily healthy routines. Eat! Drink (Samurai Tea)! Enjoy! • Tea Strainer A tea strainer which is reusable and easy to use for brewing your favourite tea! Works will with most tea pots. • Tea Warmer •Heat tempered glass with metal grate for holding your teapot. •Comes with one tea light candle.